No 12 Cuan na Coille. Sherry FitzGerald brings to the market No 12 Cuan an Coille for sale by private treaty. This is an attractive own door duplex townhouse with private balcony located in a mature quiet development. Built by Brennan Builders circa mid 1990s, No 12 is located on the corner of Kingston Road and Threadneedle Road. The property spans over first and second floor levels and offers bright spacious rooms, in good decorative order throughout. 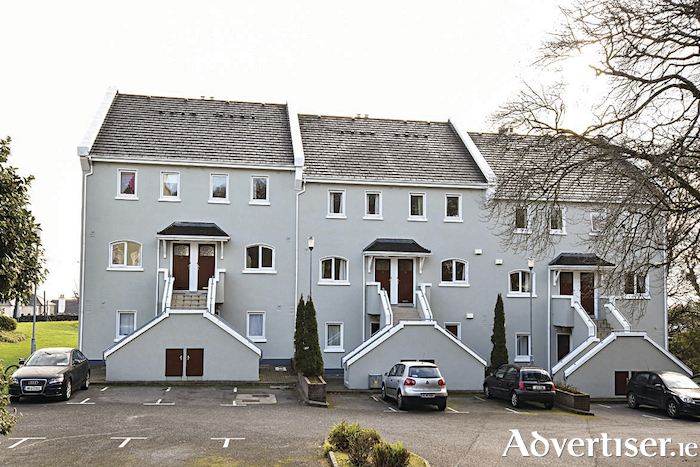 There is a private south facing balcony accessed off the living room enjoying excellent views over Galway Bay. It further benefits from having an open fireplace in the living room and attic storage. The BER is D1. Asking price is €255,000. Fort Lorenzo is a very well serviced area due to its location close to Salthill, Taylor's Hill, and the city centre, where all services are at hand.